Evgeny Kharlamov is a Senior Research Fellow at the Department of Computer Science, University of Oxford. He works on different aspects of Semantic Technologies with a particular focus on how they can address data integration and Big Data. Evgeny runs a EU funded project Optique on scalable end-user access to Big Data at Oxford University and was a co-investigator in the EU projects Webdam on Foundations of Data Management, and ACSI on Artifact-Centric Data Interoperation. 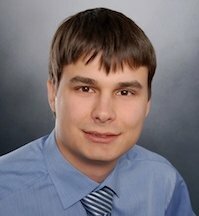 Evgeny has published a number of papers in top-tier conferences (VLDB, ICDT, KR, CIKM, ISWC) and journals (TODS, JCSS). In 2011-2012 Evgeny was a postdoctoral researcher at the Free University of Bozen-Bolzano (FUB). In parallel with that, in 2011 he was a postdoctoral visiting researcher at the Department of Computer Science of Oxford University working with Michael Benedikt and at the University of Edinburgh working with Leonid Libkin. Evgeny obtained his PhD (2011) in computer science from the FUB, while the actual research was conducted in both FUB, under the supervision of Werner Nutt, and Télécom ParisTech, under the supervision of Pierre Senellart. In 2009-2010 Evgeny was first an intern and then a research assistant at Inria Saclay, France, working with Serge Abiteboul and Pierre Senellart. He got his European M.Sc. degree in Computer Science from both Dresden University of Technology and FUB in 2006. Evgeny is an alumni of the Novosibirsk State University, the Russian leading research school, where he studied mathematics. Controlled Query Evaluation over OWL 2 RL Ontologies. Bernardo Cuenca Grau, Evgeny Kharlamov, Egor V. Kostylev and Dmitriy Zheleznyakov. International Semantic Web Conference (ISWC). 2013. Acceptance: 21.5%. Answering Queries using Views over Probabilistic XML: Complexity and Tractability. Bogdan Cautis and Evgeny Kharlamov. In PVLDB Vol. 5. Nr 10. - Journal publication. Presented at 38th Internat. Conf. on Very Large Data Bases (VLDB), Istanbul, Aug 2012. Acceptance: 17.3%. - "Goal-Driven Query Answering for Existential Rules with Equality" by M. Benedikt, B. Motik, and E. Tsamoura. Professor Ian Horrocks received an honorary doctorate from the University of Oslo. The paper entitled "Foundations of Declarative Data Analysis Using Limit Datalog Programs" and authored by M. Kaminski, B. Cuenca Grau, B. Motik, E. V. Kostylev, and I. Horrocks received the best paper award at the 26th International Joint Conference on Artificial Intelligence (IJCAI'17). - "The Bag Semantics of Ontology-Based Data Access" by C. Nikolaou, E. V. Kostylev, G. Konstantinidis, M. Kaminski, B. Cuenca Grau, and I. Horrocks. The paper entitled "Benchmarking the chase" authored by Michael Benedikt, George Konstantinidis, Giansalvatore Mecca, Boris Motik, Paolo Papotti, Donatello Santoro, and Efthymia Tsamoura has been accepted in PODS'17. Andrew Bate has successfully defended his PhD Thesis on Consequence Based Reasoning. Congratulations to Dr. Andrew Bate! Our paper entitled "Semantic Technologies for Data Analysis in Health Care" received the Best Applications Paper Award at the International Semantic Web Conference (ISWC 2016). Four papers authored by the KRR group have been accepted in the International Semantic Web Conference (ISWC 2016). Mark Kaminski and Egor Kostylev received the best paper award at ICDT 2016 for their paper entitled "Beyond Well-Designed SPARQL".